4 August 2012 will be a day to remember forever. 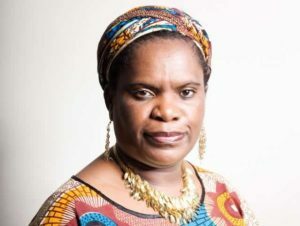 Zimbabwean women are coming together thanks to Rhoda Mamvura who formed a group on Facebook called Divine Housewives. It is steadily growing to over 3000 members worldwide and the women set aside time to celebrate womanhood and motherhood and call in speakers to inspire them . I am invited to a women`s Get Together, Divine Housewives to speak and definitely I taking last copies of my new autobiography coloured purple for royalty . I am excited to be among such amazing women. Its going to be fun and informative and below is message from the organisers ….. Please bring a friend or friends with you,as long as they are ladies,they’re more than welcome.Just confirm the names of who you are bringing pliz and pass on details of how to pay,make sure they put their names as reference when depositing money please.It will be a day to network and share business ideas too so bring along all ur products to showcase and please inbox first so we can set a stand for you.Volunteers welcome,It’s ur day ladies so please lets work together to make it a success. SOME OF THE INSPIRATIONAL SPEAKERS ON THE DAY ARE: BETTY MAKONI, RHODA MAMVURA(CEO DHW),PATRICIA.S. GILLIAN, LINDA SATIMBURWA, VIRGINIA MAMVURA,PROPHETESS PAM SEKESO,AND MANY MORE…!!! MORE TO FOLLOW SOON,IT’S GOING TO BE A DAY TO REMEMBER. CONTACT ME ON 07951633193/WHATSAPP/mel.zbnnews@live.co.uk/FB Inbox IF YOU NEED ANY INFORMATION..